Amazon's Kindle Tablet: iPad Rival or E-reader on Steroids? Amazon is expected to unveil a 7-inch Kindle tablet on Wednesday, but it’s unclear whether it would be an iPad competitor, or a spruced-up e-reader with movies, music and apps. Other small screen tablets, such as the BlackBerry PlayBook, did not make a dent to iPad sales, so can Amazon succeed where others have failed? The tablet market has changed significantly since the arrival of the iPad in April 2010. The first wave of competitors, Samsung’s 7-inch Galaxy Tab, did not get off to a flying start, so manufacturers went for larger screens and lower prices in their attempts to topple the iPad 2. That didn’t work either – HP sent its tablet down the drain, while Motorola and Samsung’s tablets have lackluster sales compared to the iPad. Now, almost 18 months after the iPad, Amazon has taken notes and seems to be ready to put its tablet in the spotlight. 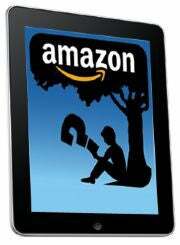 The name of Amazon’s tablet will be Kindle Fire, claims TechCrunch’s MG Siegler, who said he also got a chance to play with the 7-inch tablet. Google’s Android OS is reportedly powering the Kindle tablet, featuring a highly-customized user interface, which won’t look anything like Google’s vanilla UI. Amazon is expected to pile a lot of its services on the tablet, including music, movie streaming, e-books, big-name magazines, shopping, cloud storage and its own Android Appstore – all for around $250. iPad Rival or Ebook Reader on Steroids? The hardware of the Amazon tablet will help decide whether it will be a true iPad competitor, or a glorified e-reader. Gdgt’s Ryan Block hints that there will be a strong resemblance between the Amazon tablet and the BlackBerry PlayBook – as they were both designed by Quanta, a company that builds and designs hardware for name brands. It appears though that Amazon had to make a few design compromises, as its tablet would use a slower processor than the PlayBook. If the Amazon tablet indeed users a slower processor and compromises on performance, then its tablet could be more of a Barnes & Noble Nook Color alternative, rather than a real iPad rival. Listening to music, streaming movies or reading books could be handled well by a slower processor, but sacrificing on performance would mean that games or resource-intensive apps won’t offer the same entertainment value as their iPad counterparts, which run on a dual-core processor. By skimping on specs and storage, Amazon would manage to keep the price of its tablet competitive. An underpowered Amazon tablet could still give the iPad a run for its money tough – if Amazon gets the user experience right, as my colleague Melissa J. Perenson explains in depth. It’s not the hardware that drags down other Android tablets, but Google’s Honeycomb tablet interface, which is promising, but still has many kinks that have to be ironed, including the lack of apps. Amazon has a change to get things right, and we’re only a day away from finding out if it can live up to the hype.